England is made even more beautiful and sophisticated as a country by its magnificent beaches, and one of them is Crosby Beach. This attraction has received a remarkable 4.5 out of 5 rating from the global travel platform, Trip Advisor. More so, the Crosby Beach bagged the 2011 Keep Britain Tidy’s Quality Coast Award. Crosby Beach is located at the Metropolitan Borough of Softon, England. Particularly, it forms part of the Merseyside coastline which is in the north of Liverpool. It cuts through the Waterloo from the Liverpool Port, thus dividing the Marina and the sea. Some of the primary concerns of beachgoers are security and safety. Fortunately, Crosby Beach is widely patrolled and lifeguarded, thus assuring the public of a safe and enjoyable experience. 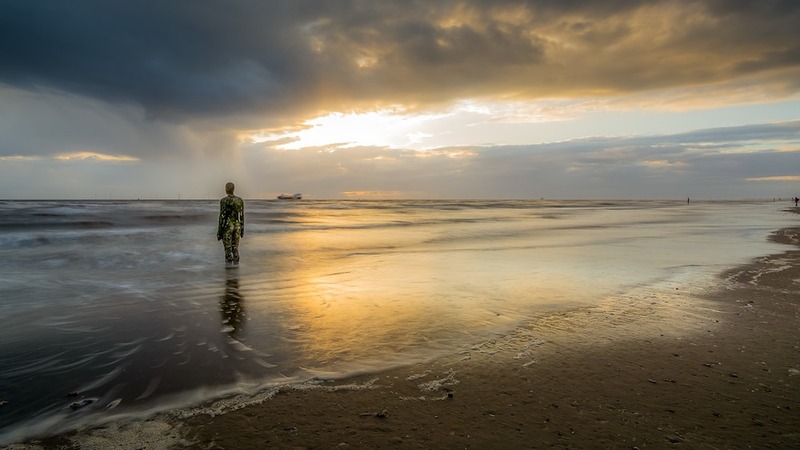 Crosby Beach is also home to the infamous sculptures called Another Place that unfailingly attract numerous visitors every year. This 100-strong set of cast iron naked figures is crafted by Antony Gormley, the artist who made Crosby Beach distinctly unique. Here, the visitors experience larger-than-life natural beauty and man-made artistry. Yet another beautiful feature of this beach are the vintage structures of the old wartimes. Not only will families and groups of friends enjoy swimming but also learn history. Crosby is sandier compared to the other beaches. As such, the security and safety measures are tighter, lest the visitors get trapped in quicksand or washed away by ravaging water. There is a lifeguard station nearby so emergency response is not a concern. High tides frequently visit Crosby Beach, the reason why about 4,000 tons of sand have been dispersed to the northern region. But the local government has built reinforcements like the sea wall and exercised other dune management measures like the planting of trees to reduce the incidence of sand dispersion. In terms of accessibility, visitors can drive their private vehicles and park at the Crosby Swimming Baths. Or they can take the train or the No. 53 bus and walk a little to the beach, which is found after the sand dunes. For food, visitors may either dine picnic style or in good restaurants and cafes such as the Good Catch, The Tree House, and Ellington’s. There are even themed restos like the Thai Ayuthaya and the Spanish So Salsa. Sightseeing and beach strolling are taken to a higher level at Crosby. Of course, there is the Another Place scenery to appreciate, redefining the Crosby landscape. Most reviews also mentioned that Crosby offers them the best sunset views ever. Any romantic date and family event celebrated at Crosby would be ultra special. Most people who have visited Crosby Beach appreciate its strategic location as it is rather close to other beaches and attractions. Children can take tours at the different museums near Crosby, such as the Spaceport and World Museum Liverpool. Likewise, there are indoor playgrounds to enjoy such as the Purple Monster Playcentre and Bubble’s World of Play. Adults can also appreciate the adventure-filled attractions like The Echo Wheel of Liverpool or witness action-packed competitions at the Everton Stadium. For those who like to take a leisure cruise, there’s the Mersey Ferry River Explorer Cruise for your entertainment. Lastly, there is the Sefton Park to offer quiet and relaxing time to visitors. The Merseyside is blessed with beautiful beaches perfect for beach-hopping visitors. After exploring Crosby, explorers can enjoy Formby, Hoylake, and of course Liverpool. All of which are equally worth the travel and exploration.